In recent months we have witnessed the growth and evolution of Instagram, It happened to be the social network of imaging excellence to become a powerful online marketing weapon Y a great business tool for companies. His latest move was to announce that, one breve, their 600 million users will be able to book a restaurant (or contact any business), through these photographs published, as published last week the news portal skift.com. You imagine? You are browsing #hashtag those that you love: #foodie, #foodporn, #instafood, etc ... and suddenly you find that tenderloin with foie you take time wishing and reprimiéndote. Do not wait more! Just clicking the image you realize your reservation and be devouring the delicacy dish. Although This service is not active yet, we think can make a revolution for social networking strategies of companies that use images to communicate and / or sell. We have written many lines in this newspaper on Instagram utility to attract users to the world of restaurants, how to seduce them until they become satisfied customers, even some techniques to encourage relations between the two through offers, promotions, contests, etc. But the truth is that This innovation is a very important step. The ability to interact with a business is now cross, that is to say, from a photograph on the social network to a reservation in the restaurant. This also means that companies will be able to measure the return on your advertising investment in a much more real way. As Instagram is becoming an asset to be taken into account when designing the online marketing strategy for a restaurant, let's clarify some things. How will the reservation system to other platforms Instagram? 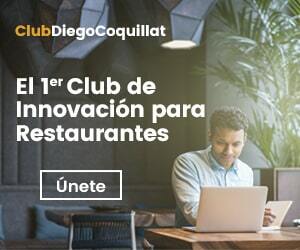 The first to wince to learn this new feature, still it takes time to be active, have been portals already engaged in reserves as Yelp, OpenTable Y Reserve US or ElTenedor Y TripAdvisor in Spain. While it is too early to make estimates about how it will affect, the growth experienced Instagram in the last two years may give cause for concern. OpenTable reserves generated 21 million diners per month, and Yelp has a network of 80 million diners. In 2015, the first year advertising Instagram, They were generated 595 millions of dollars, a figure that doubled the following year, according to eMarketer. Meanwhile, CNBC says there are more than 600 million active users each month on Instagram, of which up to 80% are at least, a business. How will the reservation system to the social network itself? Just as it is difficult to know the impact that will have this new functionality reservation through Instagram for other platforms, so it is to predict how it will affect their own performance. What we do know is that will provide important new metrics that will benefit our strategy and will help us measure the impact of the actions we take. further, according James Quarle, business manager application, this new feature will bring more than 1 million new advertisers. As we have seen, even a picture can be worth a thousand words. Thanks to Instagram, These are real weapons to entice users, bring your restaurant and also now, also to generate new reserves.